Historians charting the trajectory of industrial civilisation will note the remarkable disconnect between the status accorded to “evidence based decision making” in our culture and the relentless pursuit of perpetual growth on a finite planet. While the contradiction has always been clear to the simplest of folks, the publication of the Limits to Growth report nearly half a century ago gave us the means to better understand the complex system dynamics that would characterise humanity’s overshoot of global limits. Because these understandings coincided with the oil crises and resultant recessions, in affluent western countries there was some public discourse, and even early action, to consider the possibility of futures other than ones of continuous growth. On the fringes of society a flourishing counterculture gave birth to lifestyles and concepts (including permaculture) that have been the source of a continuous lineage of creative change. Some of these fringe ideas – such as the internet – have contributed to powerful creative action that has transformed society, whilst others – such as renewable energy and regenerative agriculture – provide pathways promising to manifest transformation now. But the full potential of these and other creative bottom-up response to the Limits To Growth were stymied for decades by the neo-liberal top-down revolution initiated by Thatcher (UK in 1979) and Regan (USA in 1981) and emulated in Australia by the Hawke/Keating government from 1983. While many of the aspects of Keynesian economics and politics that were swept away were hopelessly maladapted to the emerging world of limits, the neo-liberal solutions only intensified society’s disconnect from non-negotiable realities. While the neo-liberal agenda may have capitalised on creativity, the growth it orchestrated was mostly driven by new forms of corporate colonialism, widening wealth disparity in long-affluent countries and doubling down on resource depletion and environmental impact. The late 1980s scientific consensus on climate change, and endless talk and grand plans since, have done little or nothing to slow the trajectory of industrial civilisation into overshoot beyond planetary limits. But the Global Financial Crisis was a turning point when the limits of resources, signified by the global peak of conventional oil production, converged with the limits to the neo-liberal revolution’s capacity to sustain supercharged global capitalism. Endlessly expanding global debt was exposed as the secret weapon of the neo-liberal revolution that since the GFC has massively inflated assets of all kinds, including land that has underpinned the housing crisis. The global economy is a Ponzi scheme of fake wealth that will inevitably follow the trajectory of previous bubbles in the history of capitalism – but this time, the tightening grip of resource depletion and other limits will make this boom cycle the final one for global capitalism. The potential diversity of energy descent futures is manifold but has been little investigated until recent years. When I began to do so in the early 2000s, I found Mad Max, a 1970s road rage movie, was the primary intellectual reference point for consideration of energy descent futures! While heroic efforts to steer the ship of state and capitalism in new directions have consumed the energy of generations of idealists, activists and entrepreneurs, others have chosen to put their energy into living in ways that model the world we need beyond growth. Affluence and the hubris of the dominant ideology has allowed those with the capacity to create their own “new normal” in the shadows of, and from the surplus wasted wealth created by, the mainstream economy. Inevitably, a lot of that action has been at the geographic fringes in rural localities but in recent years an increasing number of people are pursuing DIY enlightened self-interest in suburbia, where the majority of Australians live. While I agree with Kunstler in principle, I also believe suburbia represents a potential sweet point between the connection with nature and capacity for household self-reliance we associate with the rural, and the density and diversity of social and economic connection that cities make possible. The fact that the current infrastructure, houses and landscapes of suburbia are hopelessly maladapted to the coming world of energy descent is not a cause for inaction or depression. Low density detached housing with gardens is the ideal place for beginning a bottom-up revolution to recreate the household and community non-monetary economies that our recent forebears took for granted as the basis for an adequate, even comfortable, life. Although, as this book makes clear, there are limits to the degree to which this household level can replace all the important functions of a sustainable and just society, the chances for success look a lot better than through further heroic efforts to reform global capitalism from the top down. In any case, those pioneering a downshift to radically reduce their ecological footprint, regardless of whether society follows suit, are finding they can live a better life now while building resilience to challenging futures. 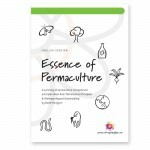 A combination of permaculture-designed productivity and voluntary simplicity is rebuilding the culture and skill base for the transitions demanded by energy descent futures. In the process, these pioneers are finding surprising synergies with migrants, working class battlers and other fringe folks who are not motivated by environmental ethics nor are even necessarily believers in climate change. Mutual respect and learning across the widening identity politics divide is one of the by-products of this broadly based household- and community-led movement. This enlightened self-interest has the potential to grow by viral replication. The most fertile ground for its rapid growth is suburbia, especially the open sunlit suburbs of Australia, which is still the lucky country with surplus capacity to sustain such a bottom-up revolution. While the dysfunction and denial in the political, corporate and media elites rivals anywhere else in the world, Australia has many of the seeds and settings for global leadership. While I have always acknowledged and articulated the non-negotiability of the limits to growth and the need for consciously designed “degrowth” or “powerdown”, the populist in me has always called for citizens to vote with their feet and increase the “participation rate” in the non-monetary household and community economies that will sustain us through the necessary transition as we move deeper into crisis. In the process, we have found that we can live well with a small fraction of the resources that are claimed to be normal and necessary for a comfortable life. In projecting this populist message and supporting the pioneers, it good to have scholars of suburbia and degrowth providing the conceptual framework for why degrowth in suburbia is becoming a self-organising reality. Brendan Gleeson is one of the minority of Australian scholars and commentators on urban affairs who has defended suburbia and suburbanites. His previous writing has acknowledged the non-negotiable climate, resource and other constraints threatening to deepen the crisis in suburbia created by neoliberal policies over recent decades. Likewise, Samuel Alexander is one of the very few Australian scholars to explore the potential for degrowth, considering the historical and contemporary expressions of voluntary simplicity as a cultural response to the limits to growth crisis. In many ways, he inherits the mantle of Ted Trainer who for four decades has been an almost lone voice in Australian academia documenting the need for a radical response to the Limits to Growth. 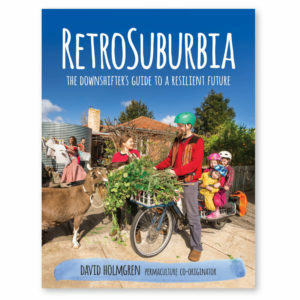 Degrowth in the Suburbs brings together these important perspectives to challenge the most powerful and persistent cultural, economic and political orthodoxies in Australia and other affluent countries.